Earn $1.03 in Rewards credit (103 points) What's This? 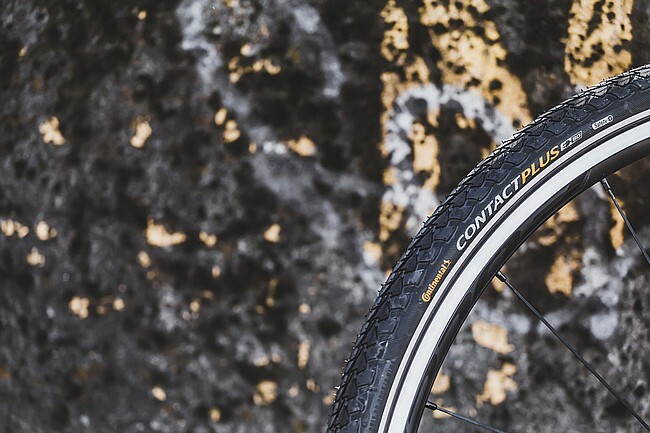 The Contact Plus 26 Inch Tire from Continental is specially designed to be adaptable and tough, making it ideal for touring as well as e-bikes and rental bikes. It features a plush rubber compound, a well-rounded tread profile, and Continental's SafetyPlus Breaker, an exceptionally elastic yet sinewy puncture and cut resistant casing with low rolling resistance.